Friends of the Library Do? ​Donations of books, movies and music accepted during open hours. Please click here for more information on donations. OPEN FOR BUSINESS AT OUR NEW LOCATION! Free book bags to the first 200 customers! Love Books? Looking for a place to volunteer four to eight hours a week? 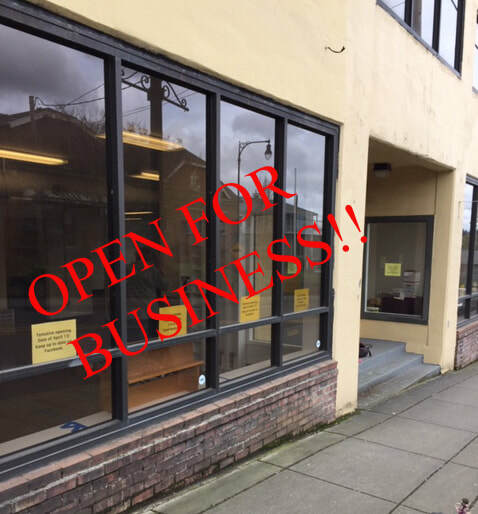 The Friends of the Oregon City Public Library Used Book Store is open six days a week with an all volunteer staff. 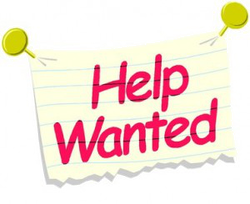 We are always looking for new volunteers to help with sorting, pricing, shelving and working as cashiers. 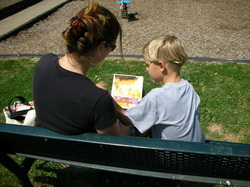 No prior experience needed - just a love of reading! Retail experience doesn't hurt of course. Or stop by the store between 10:00 am and 5:00 pm Monday - Saturday and ask for an application. The Friends of the Oregon City Public Library is a proud member of the Oregon City Chamber of Commerce and the Midtown Business District! 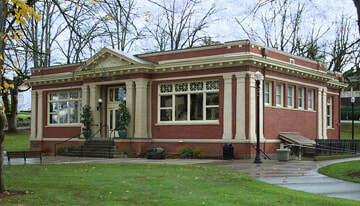 The Carnegie Library Building celebrated it's 100th anniversary on June 21, 2013. To create a larger, more modern library, construction of a two-story structure behind the existing library was completed in October of 2016.